Our client, an oil and gas company is desirous of recruiting an experienced and self-driven Senior Retail Training Officer, to co-ordinate, implement, conduct, and evaluate training for the Company’s service station staff, customers, dealers & other stakeholders in line with company’s Strategic Plan. · Evidence of on-going clearance is admissible subject to satisfactory results (presentation of a clearance certificate from the above institutions) before the selection process. Our client, is seeking to recruit an experienced Technical Supervisor, whose purpose will be: Supervision of maintenance and development of cemeteries, scattered graves and memorials within East Africa; Ensures operations are carried out in accordance with organizational policy and approved working practices to meet set corporate standards for both horticultural and structural works; Promotes the correct application of professional best practice and corporate health and safety policies relating to protection of personnel, the environment, conduct and behaviour. 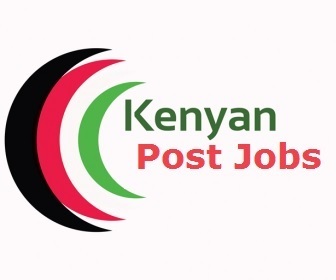 The position is based in Nairobi, Kenya. · Actively support the implementation of the Area Business Plan. · Organise and prepare working tours as approved by line management. · Prepare and submit quarterly administrative reports as required to include site specific information, quarterly work plans and work achieved against targets. · Research and co-ordinate information from various sources (local authorities, local interest groups etc. )that may be added to the records. · Oversee exhumations as required. · Carry out regular inspections of cemeteries in the region to ensure horticultural routine maintenance is carried out in accordance with company technical and Health and Safety practices and standards. · Ensure a co-ordinated approach to horticultural routine maintenance programmes and projects, organise and supervise renovation projects carried out by staff and contractors. · Support the effective completion of Works routine maintenance and projects. · Ensure urgent maintenance requirements are promptly reported to the Senior Technical Supervisor. · Maintain accurate records of all cemetery technical data and update layout plans. · Ensure all machinery is properly maintained and ensure records of hours of use and maintenance records are kept up to date. · Supervise and co-ordinate the training of staff and contractors in the safe use of horticultural machinery and materials ensuring safe working practices; recording accidents and near misses, taking appropriate action to minimise risk and support best practice. · Supervise and co-ordinate the practical training to staff and contractors in the correct and safe use of horticultural machinery, equipment and materials (including pesticides). · Ensure all Health and Safety documents and records are reviewed regularly and kept up to date. · Receive and assist visiting company officials, dignitaries, war veterans and members of the public and represent the company at ceremonies as needed. · Manage performance, development and standards of behaviour for direct reports and oversee performance management of the wider regional team. Identify training needs based on competencies for the whole staff compliment and highlight any skills gaps. · Deliver training in order to maintain and improve the staff skills base. Evaluate training and conduct regular team meetings to update staff on all aspects of operations. · Report performance issues, in relation to Kenya staff, to the Senior Technical Supervisor. · Produce monthly expenditure reports in accordance with current accounting practices and within agreed delegated regional and financial budget authorities. · Ensure current and relevant Commission risk assessments are in place for all work practices, COSHH assessments are completed, plant/machinery checks (LOLER and PUWER) are made at defined intervals, with guidance from the Consultancy Services Department when required. · Good command of written and spoken English, in addition to a high level of literacy in first language. · A recognised (local) technical/management/administration qualification or demonstrable relevant experience. · A good knowledge of horticultural and structural standards and practices is essential. · Relevant experience working in a supervisory position. · Supervision – Provide direction and guidance to gardening and works staff to accomplish goals. · Communication – Foster and develop productive relationships with staff, local officials, outside agencies and dignitaries at all levels to ensure smooth running of the region. · Able to work with a high autonomy, organising work to meet deadlines set by others. · Able to prioritise allocation of resources in order to successfully execute agreed work programmes. Use resources wisely and economically. · Good administrative, numerical and IT skills using these to ensure information required by Area office are provided promptly. · Health and Safety responsibility for self and responsibility for others. Our client, an oil and gas company is desirous of recruiting an experienced and self-driven Senior Territory Officer, Lubricants, to expand consumer and industrial market segment through supplying technical information on company’s range of lubricants, achieve planned sales targets and brand awareness. Qualified and interested applicants to send their application and detailed CV, indicating current and expected remuneration to recruitment@amsol.co.ke, explicitly indicating the position in the email subject line. Applications should reach us not later than 17.00 hours on Wednesday 05th September 2018.